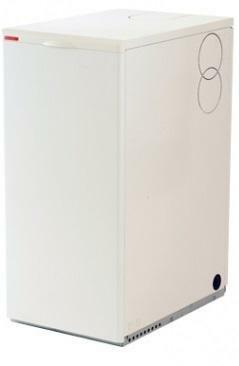 The Utility HE is a combi floor standing oil boiler with an output of 21kW. This boiler is designed to fit neatly under standard work surfaces, coming with a pre-coated white casing front servicing. At only 595mm wide, it is a similar size to most standard kitchen appliances. Even though it’s a compact boiler, the Utility HE it is still able to stay at a high and reliable standard and produces 18 litres of hot water per minute. This is achieved by the latest twin pump technology and an integral thermal heat store within the boiler casing. It is definitely able to provide the hot water that you need as and when you need it. This boiler is able keep your heating costs to a minimum coming complete with circulating pump, filling loop, pressure gauge, and a 12 litre expansion vessel - as well as integral thermostatic mixing valve. It’s also available with an optional 7 day digital programmer to install within the integrated control panel, giving you control over the heat you need even if you are not in at the time! This boiler is also available in 26kW and 33kW outputs.